Hi Steam Players, I am the creator of Riddled Corpses of Diabolical Mind, I present the new game that have been working for a long time with love and passion. Xenon Valkirie is a game with various mixtures of gender that makes it unique, we could talk about RPG, metroidvania, roquilike-lite, platforms and adventure . all this together is xenon valkyrie. We are a valkyrie to fight for the elements in a future where humans evolved to infinity. The game is a platform where we can equip with different weapons and abilities, can climb level and improve the statistics we want, the maps in this game can create random, so every time you die and start the game will be different, unlike other roguelike , we can improve the player and teleport a certain area, if you activate special teleporters. in the game there are some stores that appear random by maps where we can buy weapons, potions or abilities to get you through the maps, all these elements will be lost at death .but will continue with cells (money here) and your level stats. The game's music is created by the same composer of Riddled Corpses, will listen precious chiptune melodies of high quality . this time will be many amazing and catchy melodies. Riddled Corpses is the first game created by diabolical mind, the game can be found on steam with very good opinion of the players. -Elements of "Spelunky" and other roguelike games. 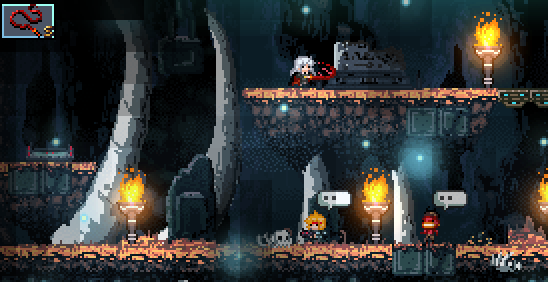 -Add elements rpg / metroidvania with interesting history. -NG+ and many hidden secrets! 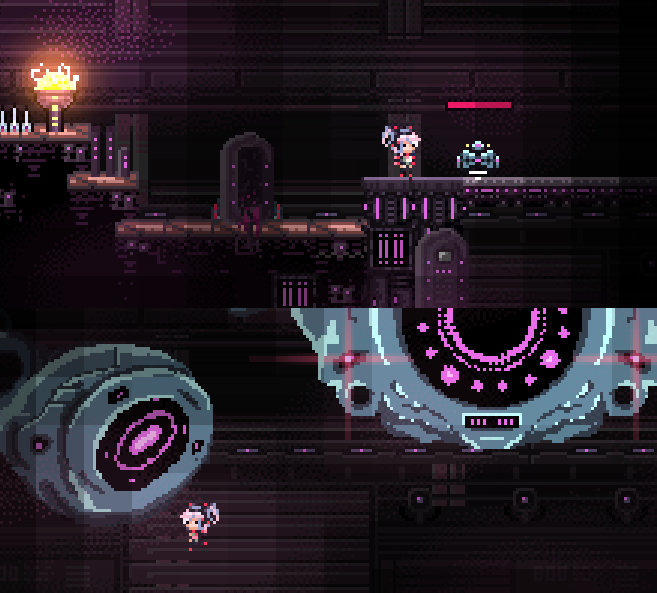 The game have quests for improve the amount of pumps that can take etc.The game has many elements metroidvania rpg. the difference is that the maps of the game are destructible and are randomly generated. 2- talk with other characters? you can talk with other characters but not many, style to metroidvania, the texts are in English. 3- The game have final boss? YES. every world have one boss. 4-Does the game will use gamepad? yes, I currently play with a wired xbox360 pad. 5- launch for linux or mac? yes, the game will be released for Windows, Linux and Mac from the beginning. Finally finished update, it took me time but I added several surprises. - Fixed the problem with the start teleport when you use keyboard (beginning teleport). - Fixed some little bugs found in the process of creating this update. - Each end will add a special weapon, are the best weapons of the game and have unique abilities. 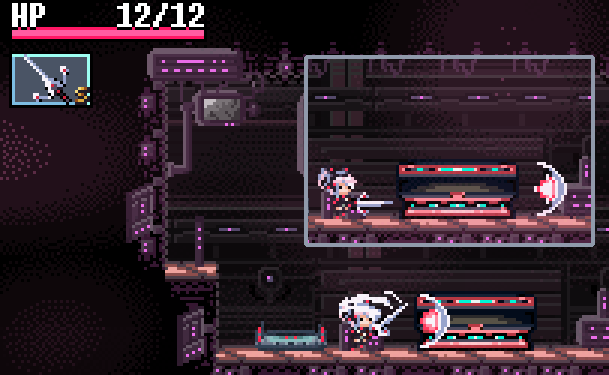 - Added new area, this area is extremely difficult and I do not recommend entering without these special weapons. - Add new enemies for the new area. - Add new boss for the new area. - Add new playable character. The new character is Gadiel, you will know him by seeing him at the beginning of the game. This character is only obtained by finishing the new secret zone of the game. 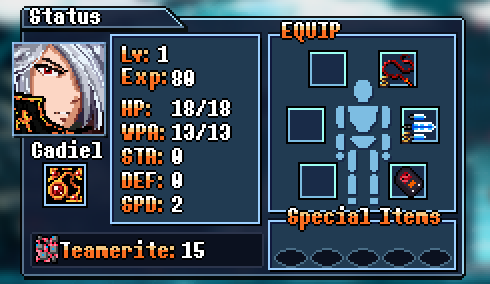 He has unique weapons and abilities, besides ... his weapons are special and have Critical Hit. Using this character the game mode changes, you can not change weapons and the whites and specials coffers will be eliminated. The monoliths will also find them destroyed !! 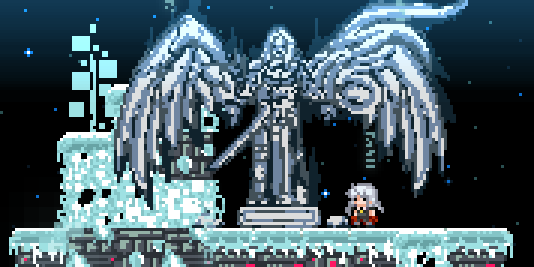 Once used the statue will be destroyed. Defense and speed will not improve. Finally comment that to access this secret zone is something complicated, there are people who found a hidden room, that is the beginning of this new area. If I see that people can not find this room and if no one does make guide for enter in this zone, I will create it myself. Thank you all for the support and interest in the game. New update for Xenon Valkyrie version 1.0.6, added content, added music, fixed erros ad bugs. Xenon Valkyrie Launch date and info! Metroidvania/Procedural map example and Download Video gameplay!! To advance the areas , you will need some items or habilidades. this can give a the boss or a quest... or even hidden by the game. I am currently studying games development and am trying to build up my CV, so if you would allow me to help you with anything you need for this project it would be greatly appreciated.